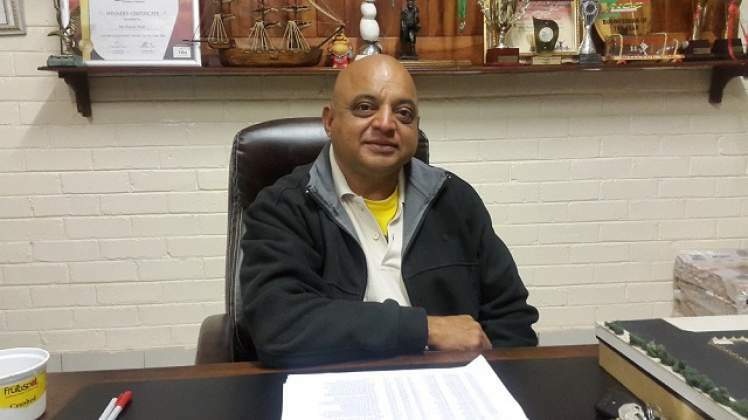 Deputy Minister of Industry and Commerce Raj Modi yesterday donated his ministerial salary to a victim of story Brenda Zulu who is admitted at Mater Dei hospital. Upon being appointed into the Ministry The Deputy Minister had pledged to donate his ministerial salary to charity. "Yesterday I donated my government salary to meet Brenda Zulu's medical costs at Mater Dei Hospital. She had a stroke last week Friday and she was being cared for at home. Get well soon Brenda." Modi said in a statement. "The powerful should not seek higher office for enrichment, but to empower the poor and vulnerable. And the wealth should not give in public for the sake of glory, but to inspire the privileged to care not for themselves, but for the less privileged. "I am a successful businessman because of the people of Bulawayo. I am a Member of Parliament because of the people of Bulawayo and I was appointed Deputy Minister of Industry and Commerce because I am a Member of Parliament so I am a Minister because of the people of Bulawayo. "While I can thank them all through words, I am compelled to show my gratitude by helping the under-privileged in our city. Therefore I am making an undertaking to donate my entire salary every month to the needy. I will not touch or use a cent of that money. It will go to the poor, especially the children who I love so much. I will also give to women, orphans, the elderly and people living with disabilities." The philanthropist said his humble monthly donation is an effort to contribute towards the national cause.